PT Cruiser what comes after it? 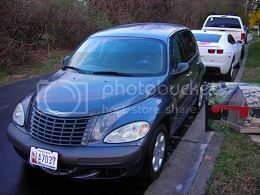 Re: PT Cruiser what comes after it? I'm still under 55K miles on my '03 and I hope to keep it on the road as long as I can. So far it's been trouble free and I get good gas mileage so I'm in no hurry to get rid of it. If, and when the day comes to replace it, it will be something in the Chrysler family. Why replace it at all? If you really love it, restore it instead of replacing it...unless you WANT something else. A new engine, trans, struts, and axles are cheaper than a new car. then you can move onto a paint job and some new carpet...you get the point. People restore old classic cars all the time so I see no reason why this car couldn't be restored. 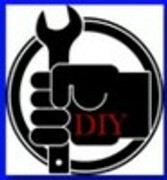 If you already have multiple cars in the family the downtime of rebuilding this one could be well worth it. Of course, not everone wants to work on a car so it's up to you. Chip18sw and ShinerJohn like this. 2003 Pt Cruiser base model....Mods coming soon!! Well being my 05 Turbolite only has 51k on it, it will be a looooong while before getting out of it, esp since my Stage 1 will be in it as of next Friday...and working at a Jeep,Chrysler,Dodge dealership I realize how far they have come since putting my little roadster together, that being said....I like the looks and layout of the new Dart coming out. I own a MINI I just bought a PT I won't replace either! They both could never be competed once I start working on them as a project. The MINI I have owned new since 2002. Had I choose a PT back then it would be highly modded by now. Unlike my other car the PT will also stay running no matter what the project on it will be. Not necessarily my choice as it is in fact the Wife's PT. Hard to say, I just hit 55k today. I do want a compact car or truck. Kinda tired of the hatchback theme. 03 Pt Woody Classic 116k miles Rebuild project. Replace my Pt? There is no replacement for my PT. At this point I think I would rather walk if my ride ever dies. Maybe someday there will be a similar car. It will be called the ET Cruiser. Put me on the waiting list for an ET Cruiszr.